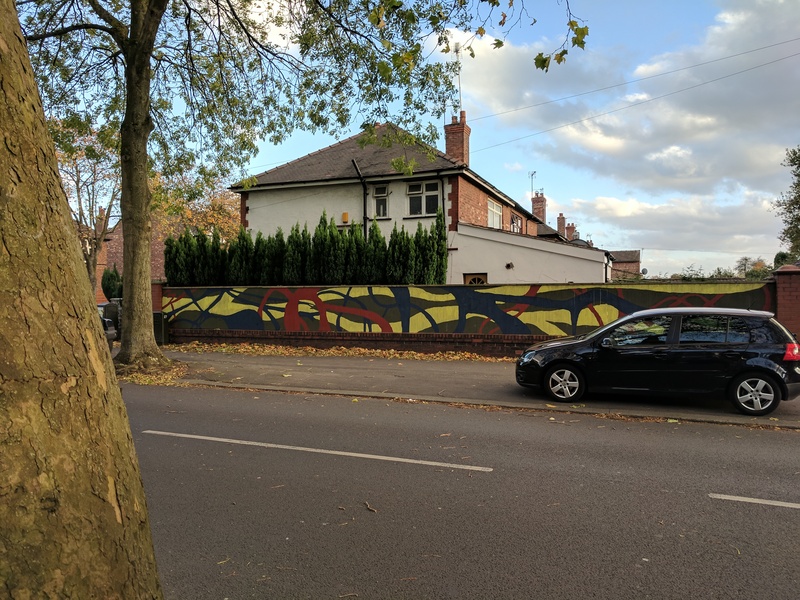 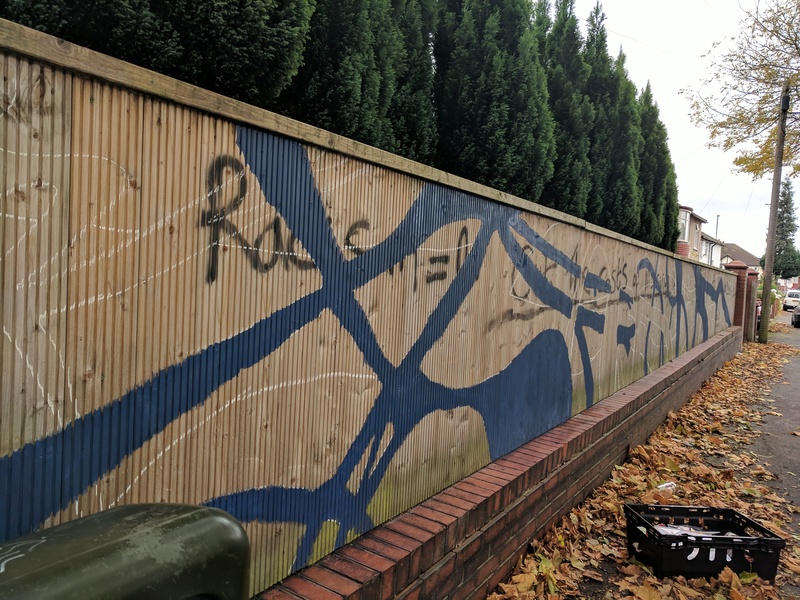 An abstract mural inspired by the ephemeral beauty of shadows created by trees on pavements, pathways and roads around Old Trafford. 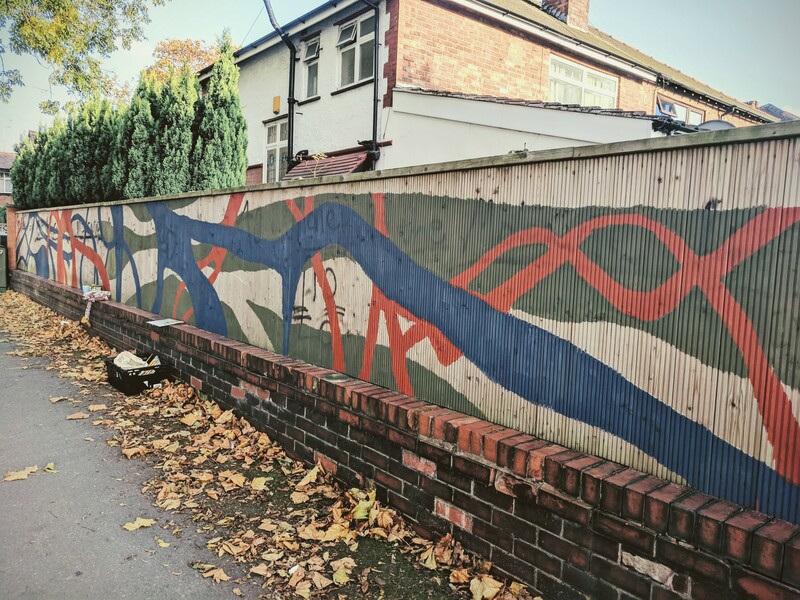 The colours of the mural echoeing the vibrancy, diversity and heritage of both the people and the environment of the local area. 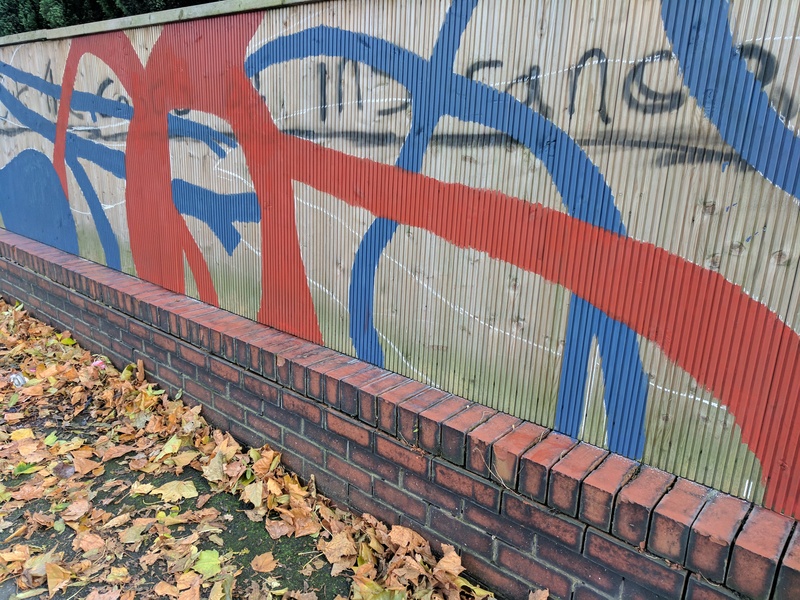 The location for this mural was chosen due to the opportunity to create something of beauty in place of something that has been damaged by graffiti. 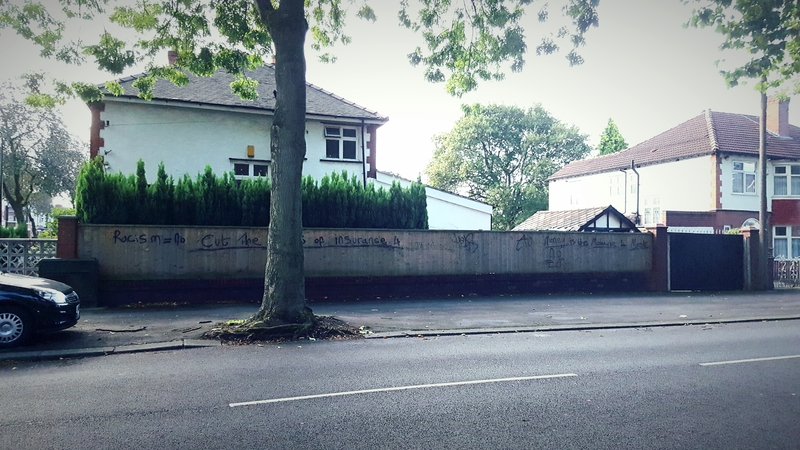 It is also surrounded by large trees where their shadows will too become part of the painting. 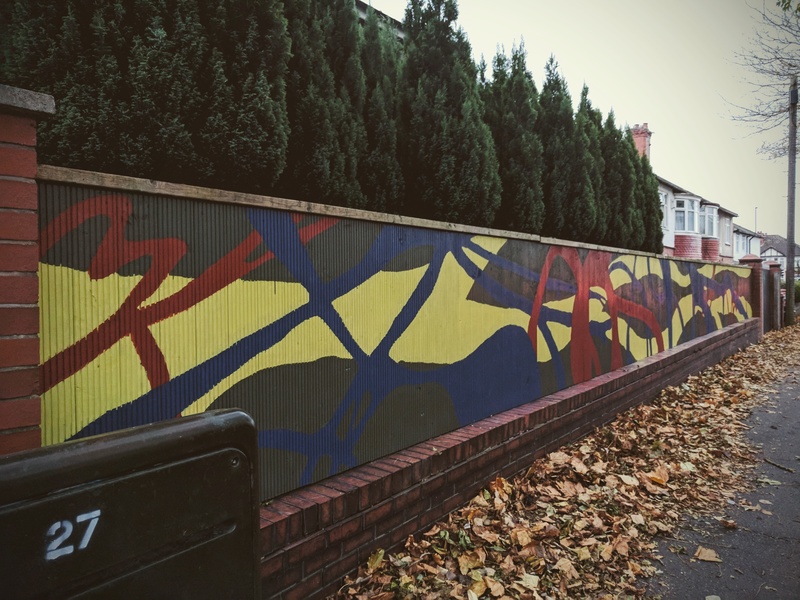 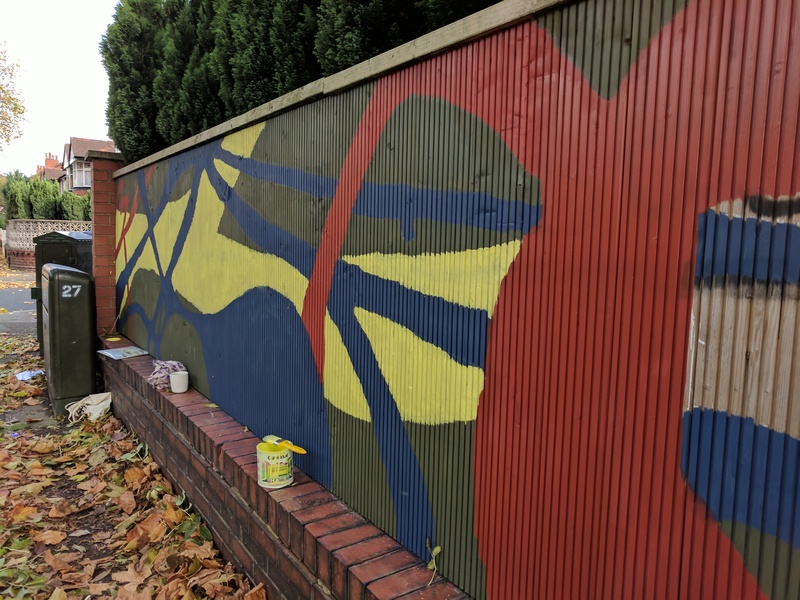 This mural has been organised by local neighbours and funded by a small grant from Trafford Council.